This is the first time I’ve ever posted a race report…I’ve done a few races with SRA West, but this is our first as a Father/Daughter race team! My dad, Mo, is a first time racer. He’d only had about 20 minutes of seat time EVER in the sidecar at the airport where he works a few weeks ago. 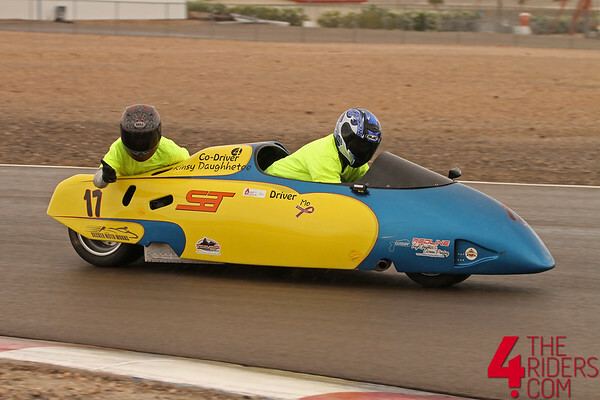 So going all the way down to LVMS and racing with WERA this weekend was a totally new adventure! The weekend started off, on my part, a little sad. Peyton, my son, was flyig out to go to his dads house in Texas for the summer. I know he will have a ton of fun though. How couldn’t he, day one of his arrival he gets to go to nitro circus. I’m jealous. His flight left on Saturday at 3:45pm, which meant that I had to miss Saturday entirely, and my dad had to have a substitute monkey to practice with. 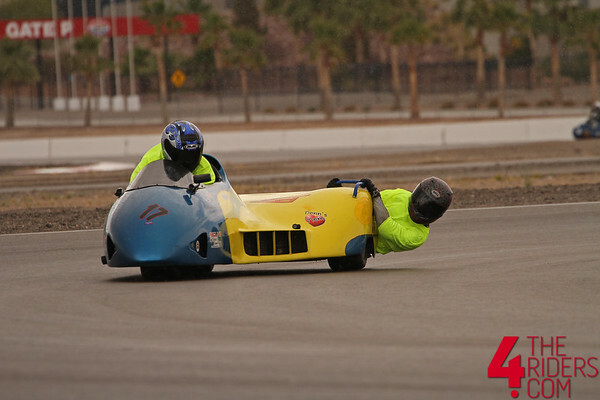 After Peyton’s flight left, my mother and I started our journey down to Las Vegas Motor Speedway for our first father/daughter sidecar race. It poured buckets pretty much the entire drive down. In fact, it rained so much that I saw people off the side of the highway in canoes paddling around. Litterally. It made for a long drive and we didn’t get to LVMS until midnight. On Saturday, while I was driving south, my dad had knocked 30 seconds off his times throughout the day, so when I jumped on as monkey on Sunday, he was pretty much in the groove. We got some great tips from fellow racers which helped a lot. I really love the side car family. They are awesome. They even make hot breakfast for everyone in the morning! It doesn’t get much better than that! They’re always willing always lend a helping hand in any situation. We lined up for our first start and the green flagged dropped. We got a great start and within a few corners, we were able to make our very first race pass. 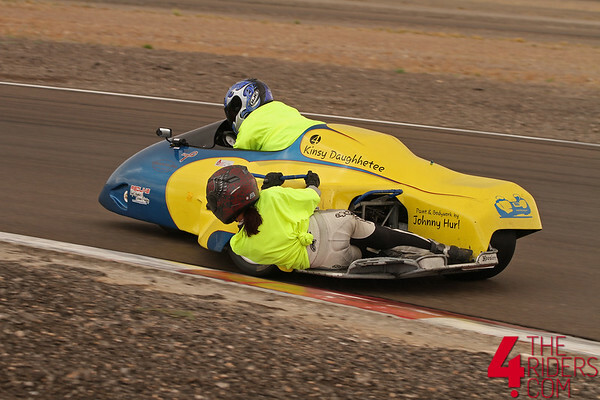 :) With it being so wet and all of us on slicks, it was more like a battle of attrition than pure speed. Everyone was sliding around and battling it out. With a little more practice, I think we could really do some damage. My dad is not afraid to twist the throttle. Immediately after our race, we had to bounce to make it to our “other other” family at Thunderhill with Precision Trackdays. We drove all evening and into the early morning hours, switching drivers every 2 hours or so. We didn’t make it the entire way…we stopped about 45 min shy of Willows because we were to exhausted. I love riding 2 wheels with Precision. They feel like family to me. They will always greet you with a smile and lend instruction whenever needed. It was heart-warming to see the parade for Memorial Day. I got to ride with a few of my friends that I haven’t seen in many moons. It was a blast. Pushed myself harder than I have before. Felt like I was going my fastest I have gone at Thunderhill. Burned through two tanks of gas and ultimately ended the day with a smile on my face. Definently a memorable Memorial Day weekend. 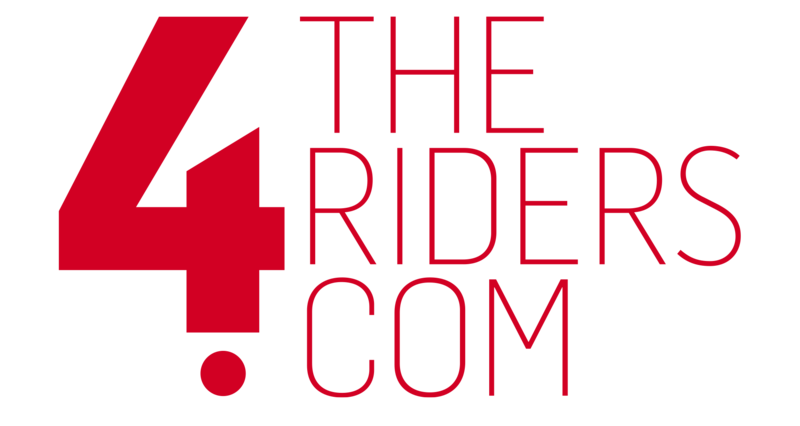 A big thanks to CycleGear and 4theriders for helping make this all happen!